In 1976, a fledgling magazine held forth the the idea that comics could be art. 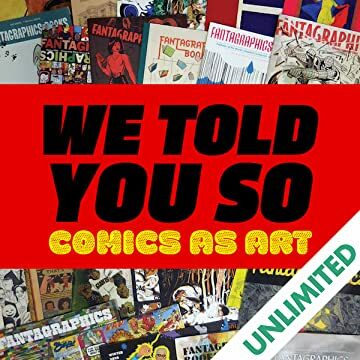 In 2016, comics intended for an adult readership are reviewed favorably in the New York Times, enjoy panels devoted to them at Book Expo America, and sell in bookstores comparable to prose efforts of similar weight and intent.Comics As Art: We Told You So is an oral history about Fantagraphics Books' key role in helping build and shape an art movement around a discredited, ignored and fading expression of Americana. 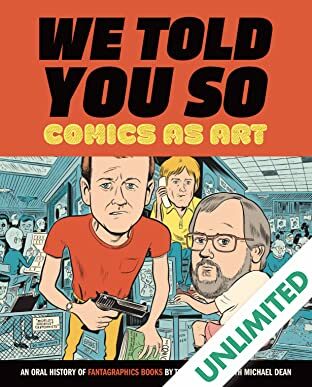 It includes appearances by Chris Ware, Art Spiegelman, Harlan Ellison, Stan Lee, Daniel Clowes, Frank Miller, and more.